““Everything about this apartment was perfect! Spotless and tastefully decorated. We have booked again for next year.” TripAdvisor: Frances L.
Waterfront accommodation Mollymook Beach provides two luxury one-bedroom suites: “Whale Watch” & “Reef Break”. Each are individually named after the famous surfing reef directly in front and the annual whale watching season. 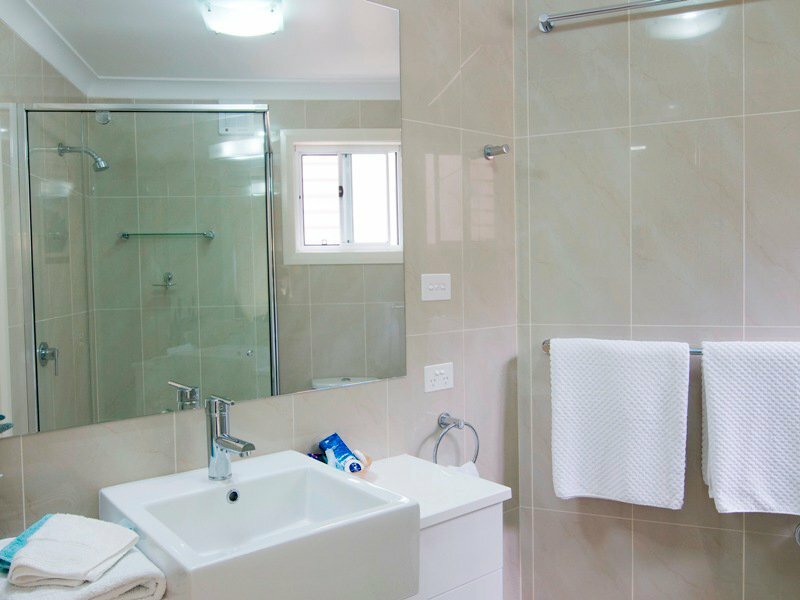 They both rank with the best luxury accommodation in Mollymook for couples. Listen to the gentle sounds of the ocean! State-of-the-art luxury accommodation design technology providing guests the utmost privacy. Green star environmentally friendly luxury accommodation in Mollymook. Bedrooms conventionally styled with feature lighting effects and luxury latex bed mattresses for your absolute comfort and indulgence. Crisp white linen sheets, fluffy “bath sheet” towels and robes with quality bed spreads. 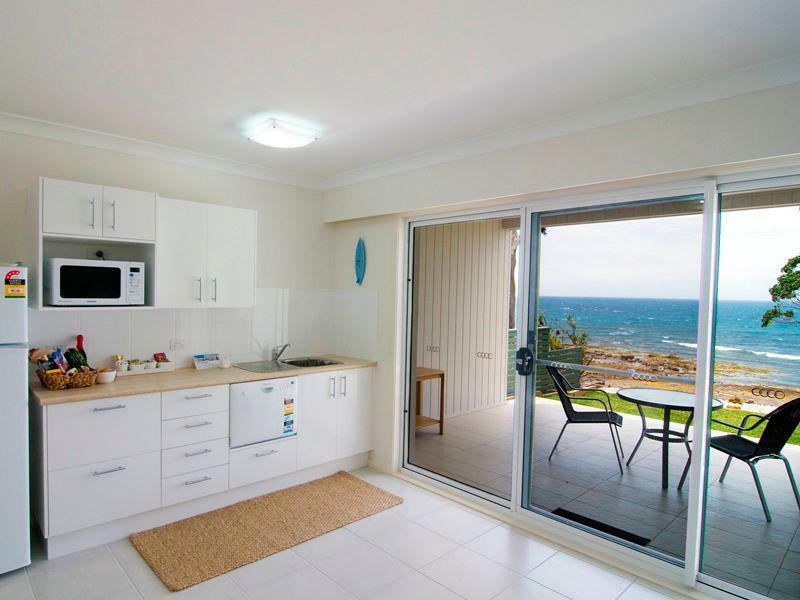 Open plan kitchenette/dining/lounge areas that allow for maximum views of the magnificent Mollymook ocean to watch surfers, dolphins and whales. 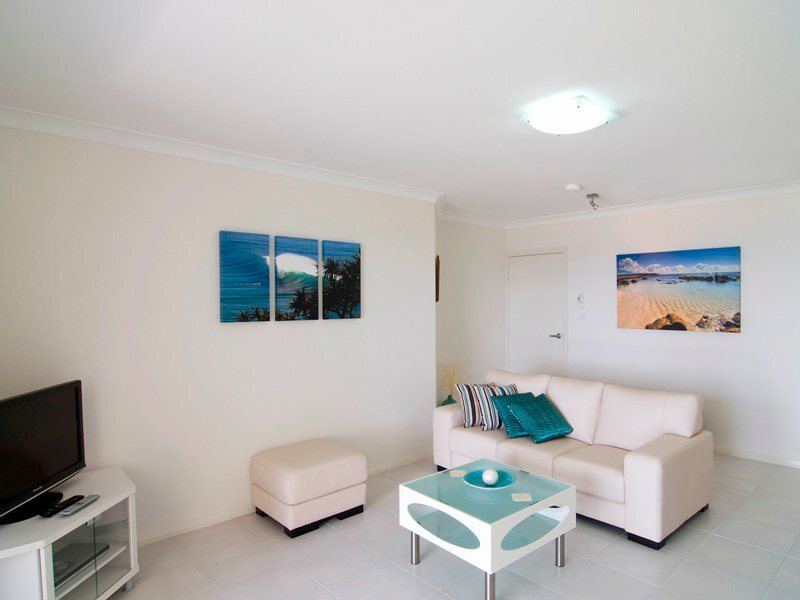 Luxury Mollymook beach accommodation with leather furnishings and remote controlled reverse cycle air-conditioning. Latest technology with the inclusion of iPod docks, DVDs / CDs, high definition flat screen LCD TV’s in both the bedroom and living areas. 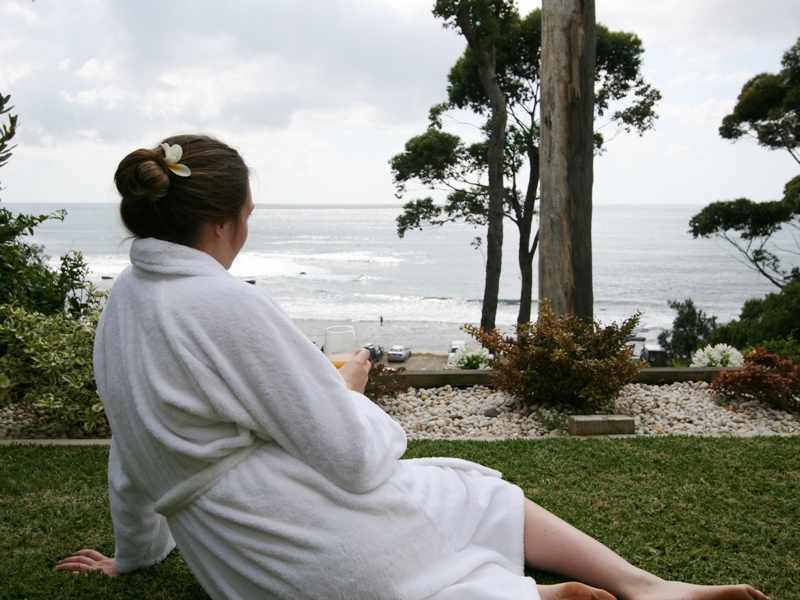 Breathtaking Mollymook beach accommodation, ocean views watching surf board riders &/or dolphins surfing the famous Mollymook reef break. 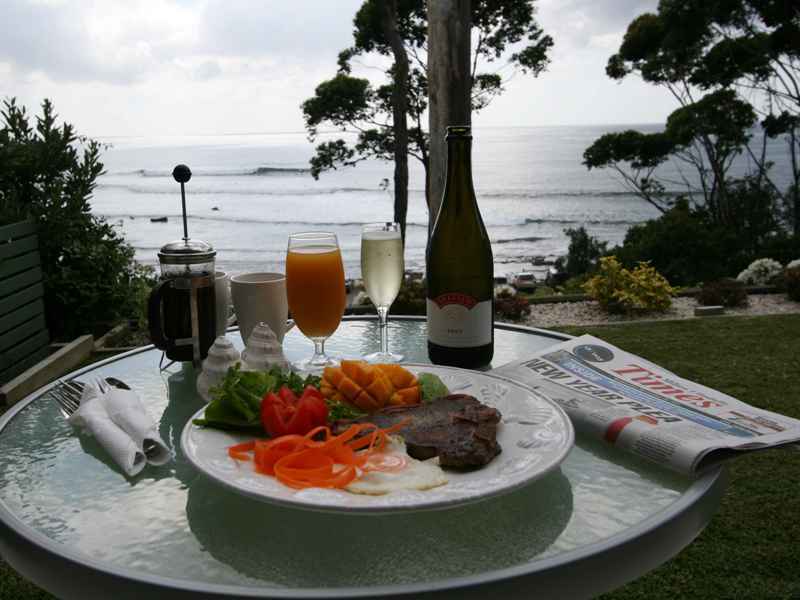 Luxury accommodation in Mollymook, restaurants, cafes, golf course & surfing reef breaks.